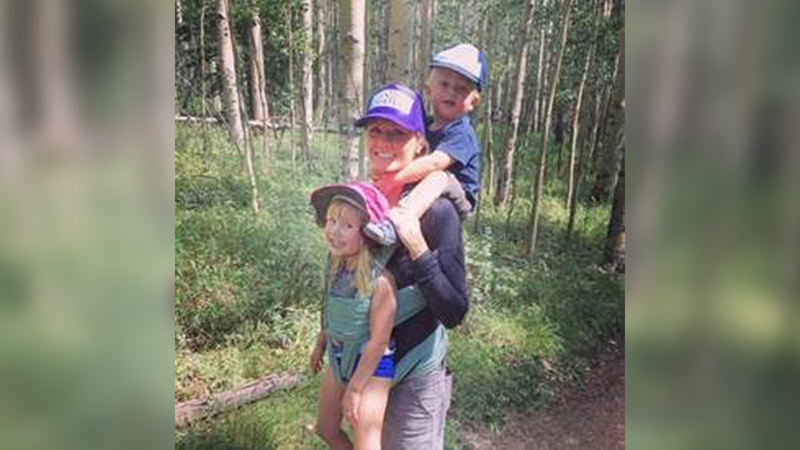 LAKE POWELL, Utah -- A Colorado woman died while saving her son from drowning Tuesday by holding him above water long enough to be rescued. Chelsey Russell, 33, drowned in the Hall's Crossing area of Lake Powell in Utah, WGHP reports. Russell was on a houseboat when her toddler went overboard. She jumped in the water to help him; neither of the two were wearing life jackets. Police said a "significant distance" developed between the pair and the houseboat before the boat stopped. According to WGHP, a family member untied a smaller vessel from the houseboat and made it to Russell and her son before they both disappeared in the water. Russell was able to keep her son above water long enough for him to be rescued. "The conscious child was rescued from atop the mother's chest however; the mother was unconscious when pulled from the water," the press release stated. Efforts to revive Russell were unsuccessful, and she was pronounced dead at Hall's Crossing Marina. Russell, an associate at a law firm, was "an amazing mother, an exceptional legal talent, an extraordinary athlete, a loyal and generous friend," according to her firm, Welborn, Sullivan, Meck & Tooley. Read more from MyFox8 here.